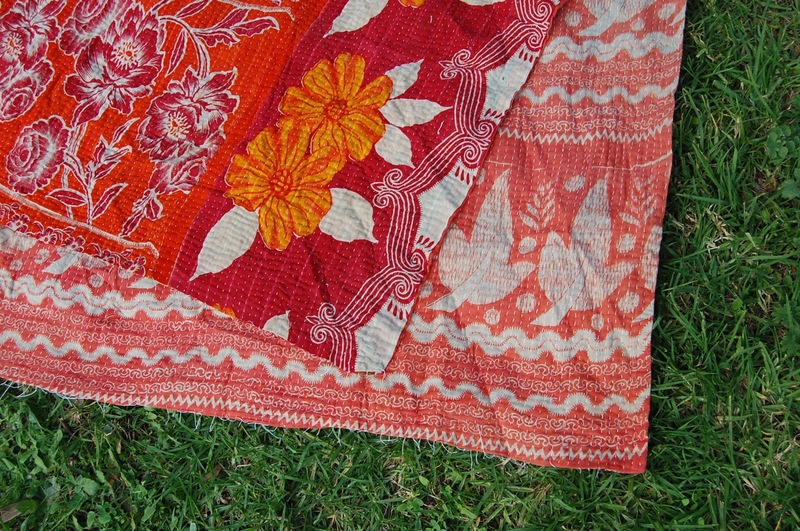 KORA has a beautiful understated nature – she may be bright, but she doesn’t take over ~ happy being matched with other similar decor ~ Eastern prints, vintage florals, Indian, even a Hawaiian 1970s vibe. 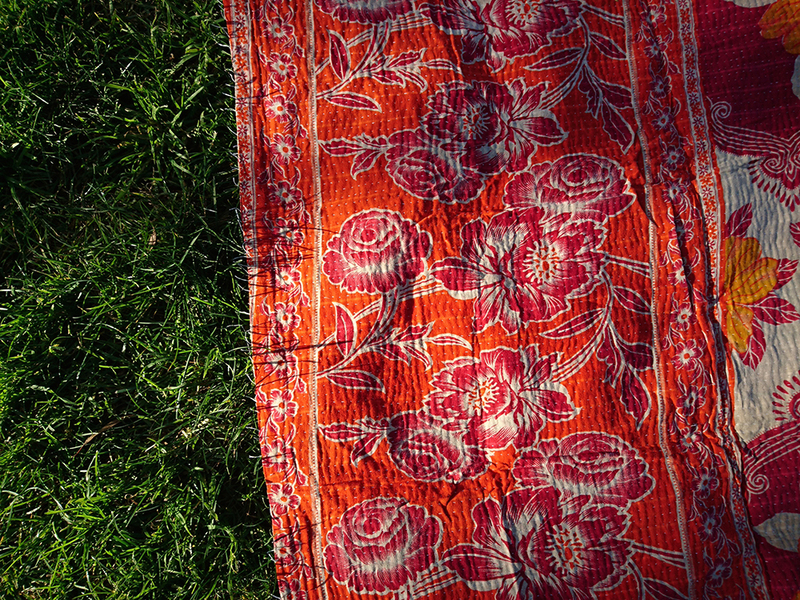 The gorgeous floral vintage print, in varying scale and varying shades of red are a dreamy combination. 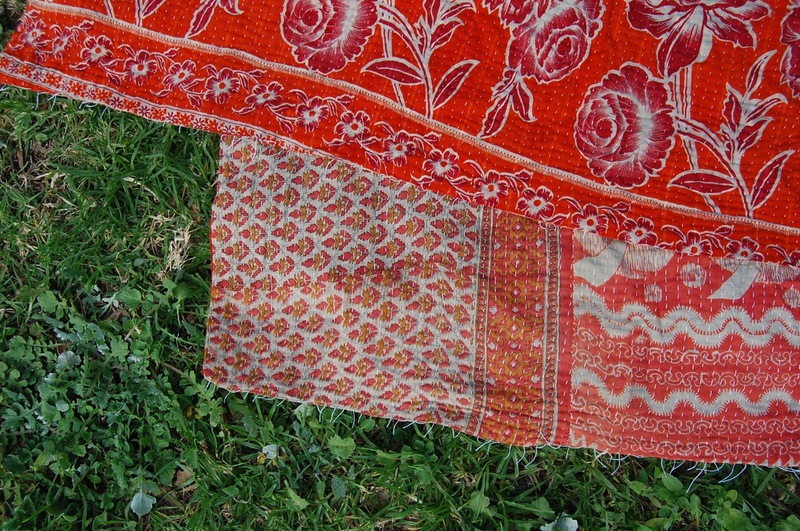 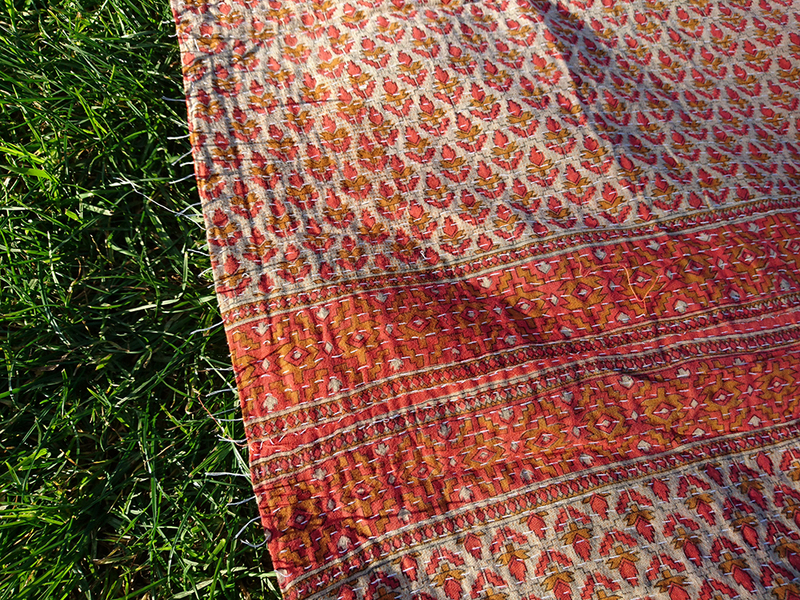 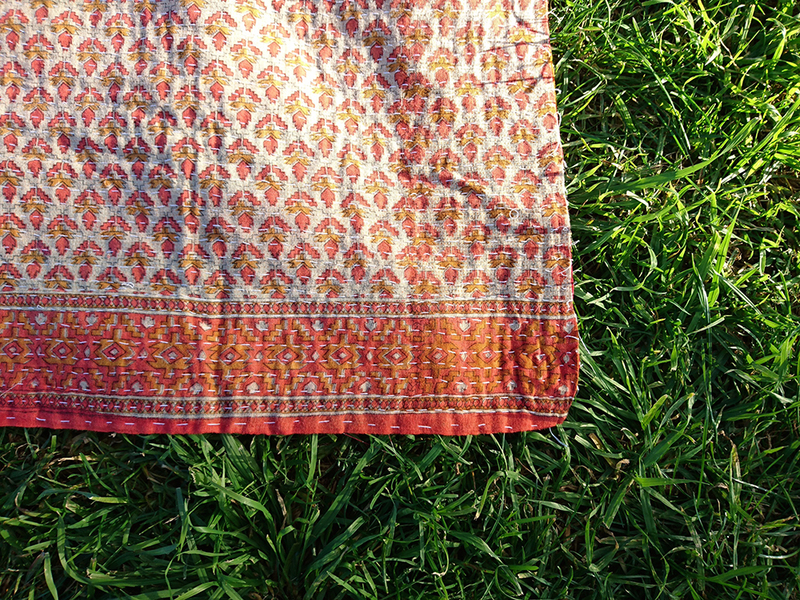 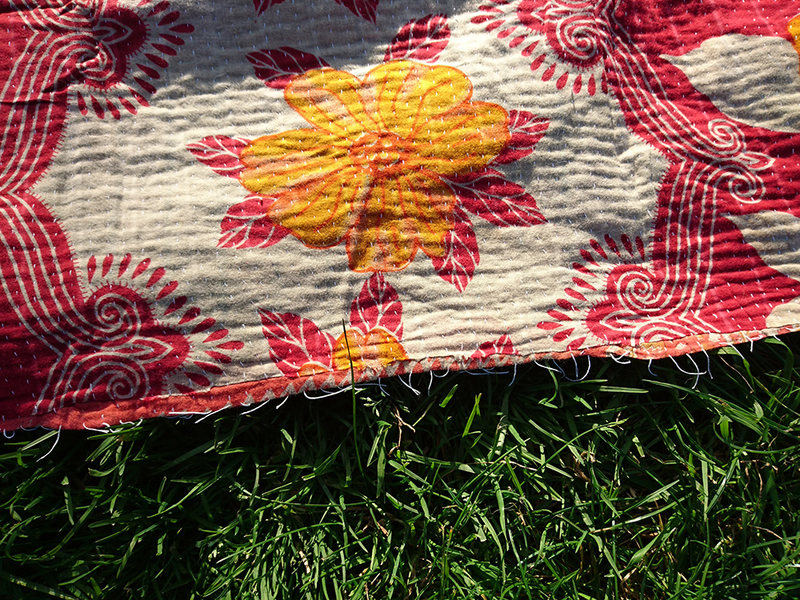 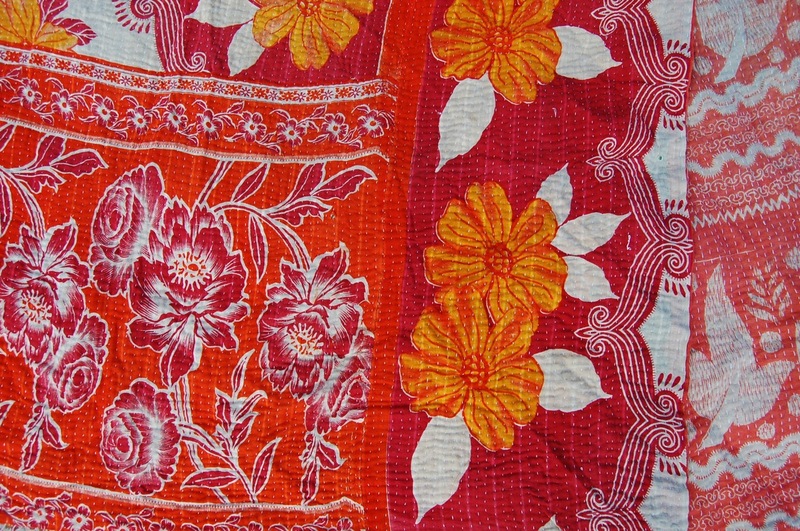 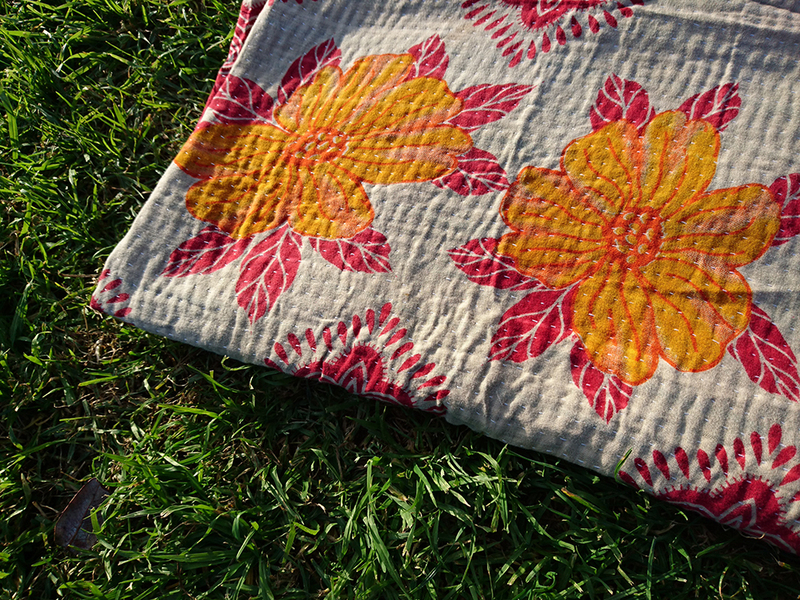 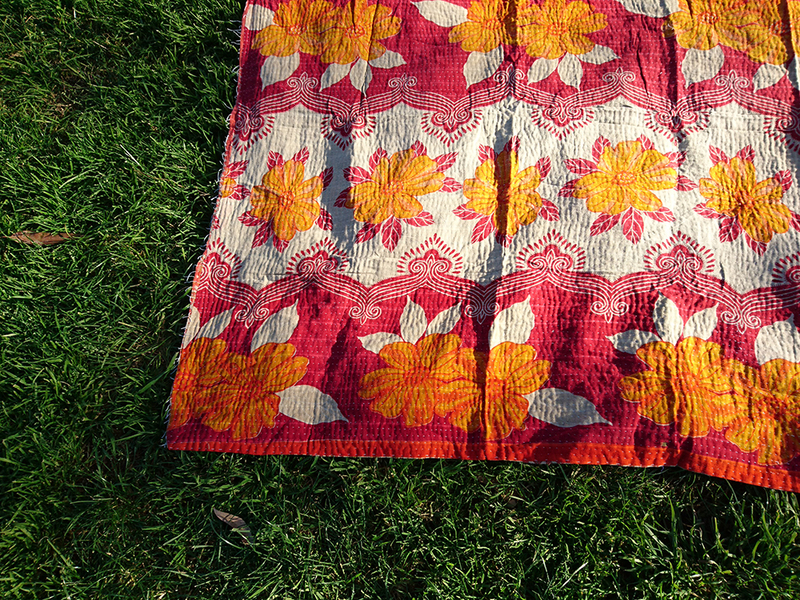 This wonderful light weight kantha is perfect as a throw for the couch or bed, made from cotton saree cloth, and great with other summer lightweight throws.